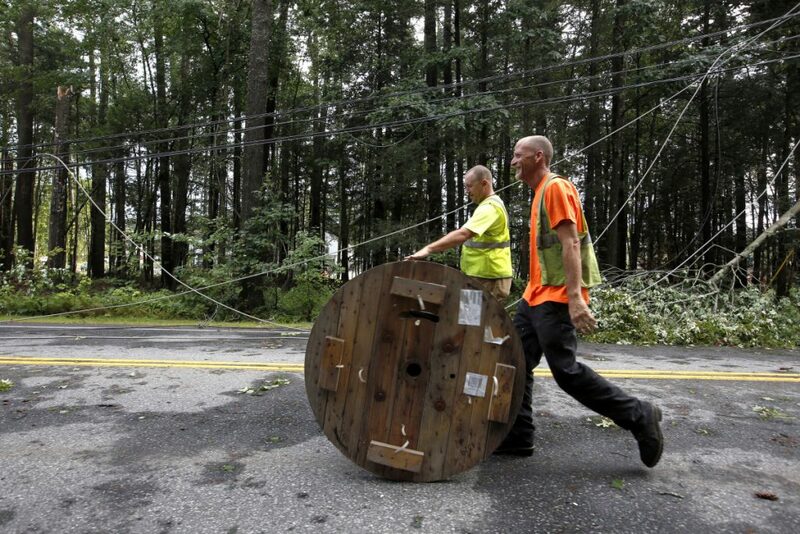 The company was working to restore electricity to nearly 14,000 homes and businesses still without power late Thursday night in the wake of the storm that rolled through southern Maine. 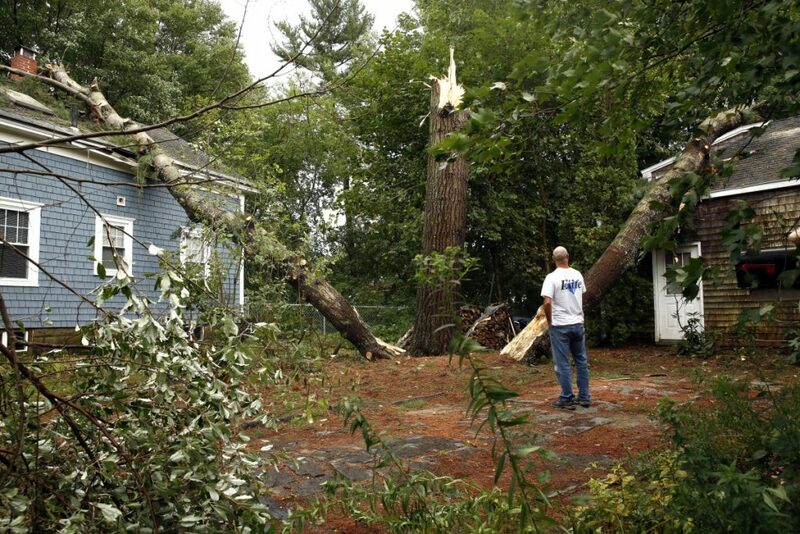 Nearly 14,000 Central Maine Power Co. customers were still without power late Thursday night after a powerful thunderstorm rolled through southern Maine, knocking out electricity to as many as 29,700 homes and businesses at the storm’s peak. Cumberland and Lincoln counties appeared to have suffered the biggest hit, according to the CMP outage reporting site. About 3,600 CMP customers in Brunswick were still without power just before midnight. More than 2,300 customers in Boothbay also were in the dark. 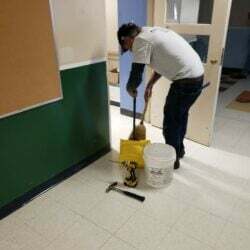 CMP crews were “out in full force, repairing damage from brief yet intense thunderstorms that came through southern and coastal Maine at midday,” the company said in a statement Thursday night. 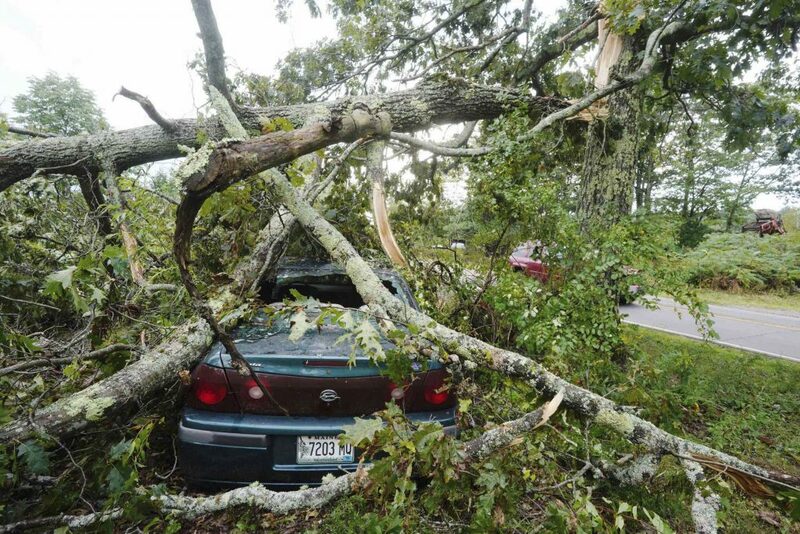 The storm was so intense and caused such extensive damage that the National Weather Service office in Gray said it will consider whether to send a team to Brunswick on Friday to determine whether a tornado touched down. “There were some indications on radar that a super cell moved through Brunswick and Bath around 12:30 (p.m.). Radar picked up some rotation,” meteorologist Derek Schroeter said. 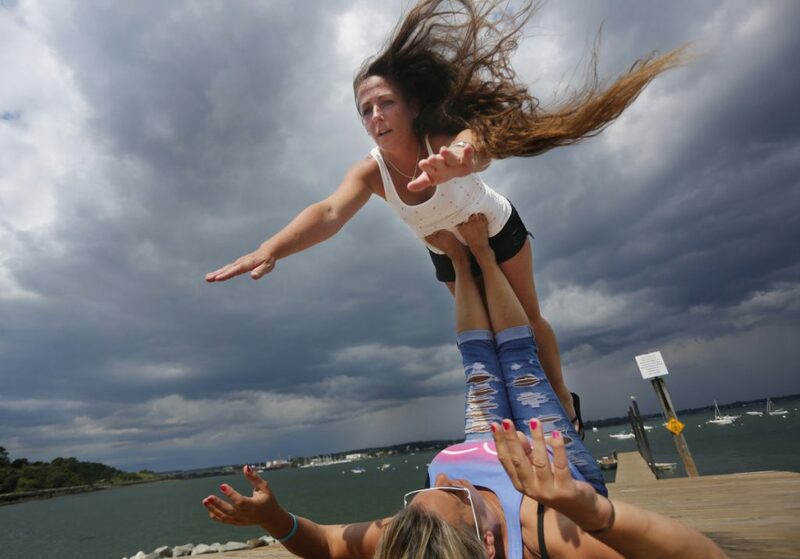 Schroeter said a wind gust of 69 mph was recorded at 12:46 p.m. at Pemaquid Lighthouse in Bristol. That came close to being classified as a hurricane force wind, which is 74 mph or more. In a related weather development, Portland set a new high temperature record for the date of 92 degrees. That broke the old mark of 88 degrees that was set in 1983. Schroeter said the warm, moist air on the surface helped intensify the power of the thunderstorm that blasted the region. CMP estimated that more than 29,700 customers lost power during the storm. The strong winds caused tree limbs from outside the utility’s right of way to come into contact with power lines, the company said in a statement. 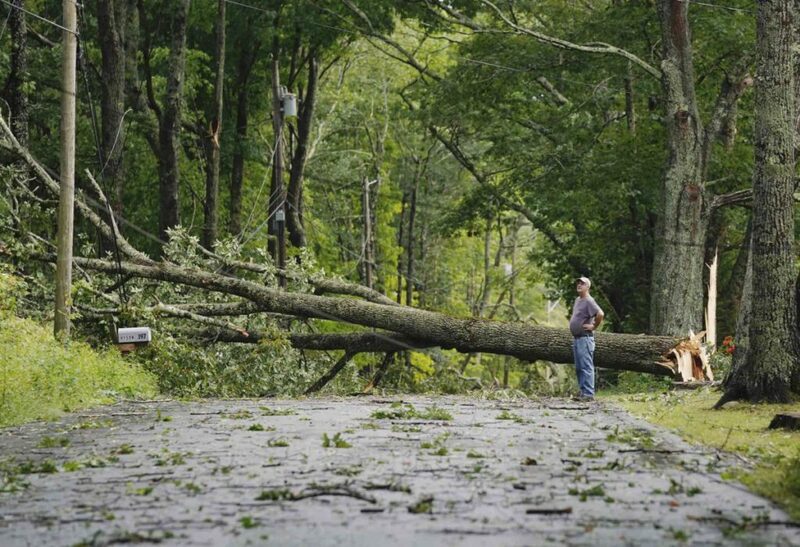 There were multiple reports of trees down, blocking roads from Freeport to Bristol. 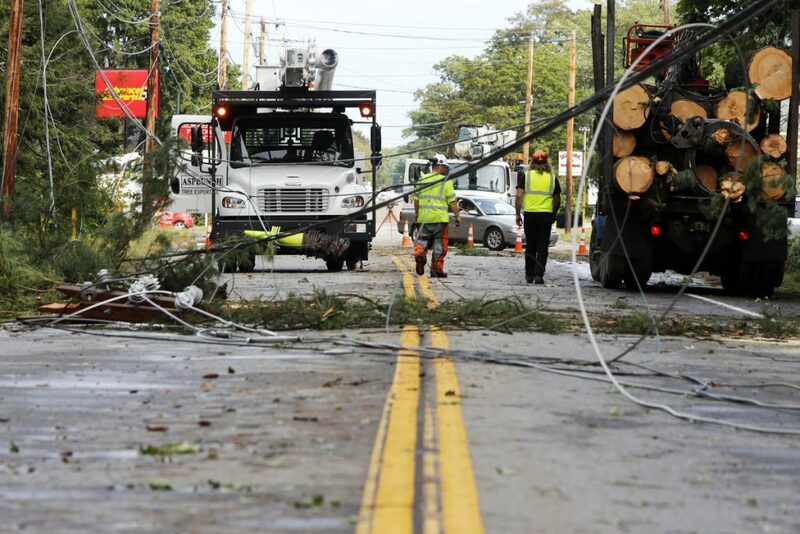 The high winds produced by the thunderstorm affected 30 roads in Brunswick, which became littered with fallen trees, utility poles and downed wires, Police Department Commander Mark M. Waltz said. Trees fell on houses and cars, traffic lights and flooded roads. 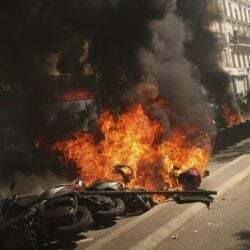 No injuries were reported, but Waltz said several roads became completely impassable, including a section of Jordan Avenue, Bath Road from the Bowdoin Pines to Merrymeeting Plaza, Woodside Road, Hamilton Court, Garrison Street and a section of Moody Road. 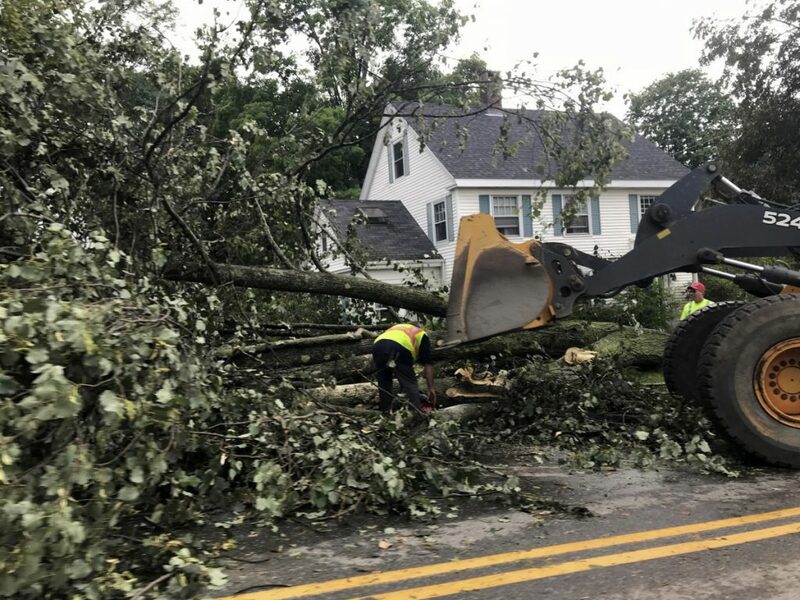 Most of the damage from the storm occurred between 12:15 p.m. and 3:15 p.m. A police dispatcher said some roads were still closed or had one lane open Thursday night, but noted that CMP and town crews were hard at work cleaning up the mess. Brunswick schools issued an alert to parents warning that buses carrying students home from school might be delayed because of downed trees or wires along town roads. Thursday’s storm is leaving cooler, drier air in its wake, said Tom Hawley, a meteorologist with the weather service in Gray. 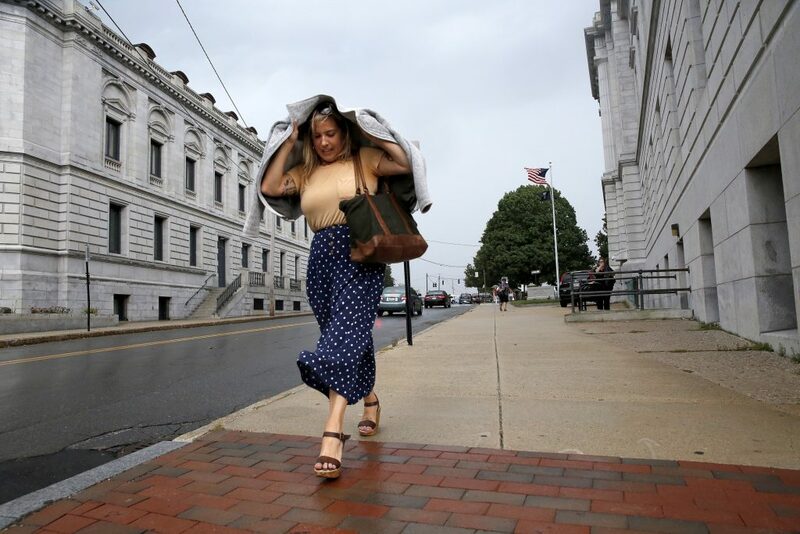 Friday will feel more like fall, Hawley said, with temperatures in Portland peaking in the mid-70s, with considerably less humidity.